Wildlands Adventure Zoo Emmen is a zoo in Emmen located in the Netherlands. The zoo was founded in May 1935 as Zoo-park Emmen and after the renovation in the years 2013-2016 opened to the public again on 25 March 2016 as Wildlands. 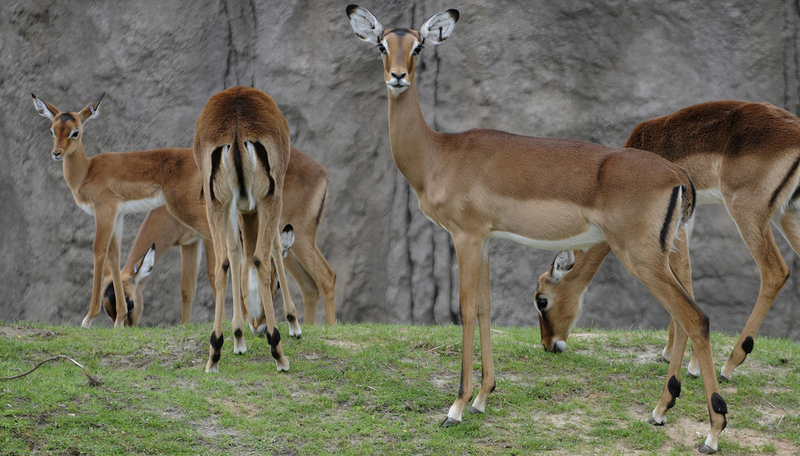 The park attracted 1.3 million visitors in the year after its reopening, in 2016, as an animal adventure park. In the park, at indoor and outdoor locations, walls have been placed in which either water or animals load the construction, especially the locations where strong and large animals such as the rhino and elephant are present. For 'Jora Visio BV' a design was made of a sprayed concrete covering. The covering is intended as a decorative finishing layer over a retaining wall and should have the natural appearance of a rock. The planned construction consists of a prefabricated retaining wall of which the elements are not interconnected. Soil is placed against one side of the retaining walls. 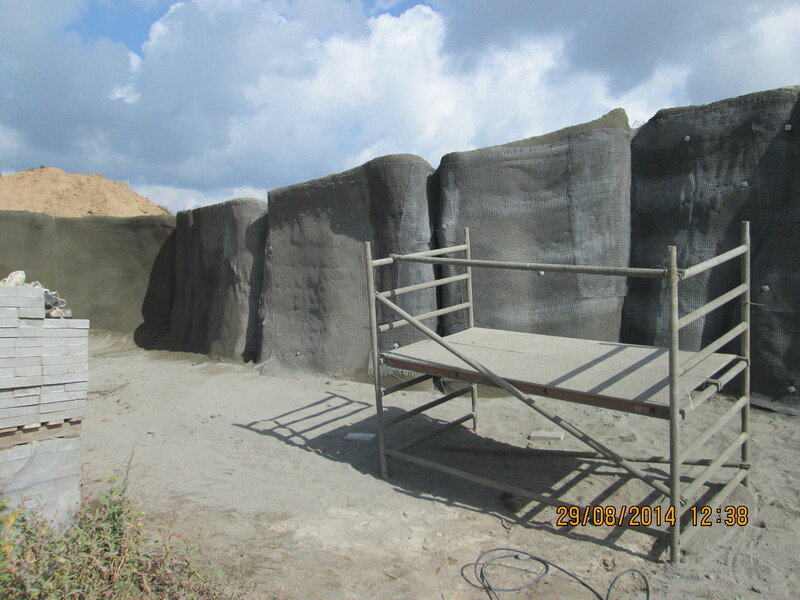 On the other side of the retaining wall, EPS is applied which is cut into whimsical shapes so that the shape of a sprayed concrete covering achieves a hard finish which further approximates the appearance of a rock. The sprayed concrete covering is connected to the prefab retaining wall by means of steel anchors. These are encased in concrete by mating the EPS. The dimensioning of these anchors is carried out by the engineering firm Emmen. A load of 3 tons on 1 m2 is seen as a situation that can occur regularly and represents an elephant with its front legs supporting or standing against the side of the wall. The sprayed concrete covering must be able to absorb this regular load without cracking. Large loads are seen as a calamity and are only present very occasionally. The finishing layer may crack. The ARMO carbon mesh present serves in the emergency situation to keep any loose debris in place. Repair of this spot will then be necessary. Cracking as a result of prevented deformation initiated by temperature (reduction) cannot be excluded as a result of the erratic shape and the absence of dilatations. Dilitations are visually undesirable, cracks are considered acceptable due to the fact that they also occur in natural rock formations. 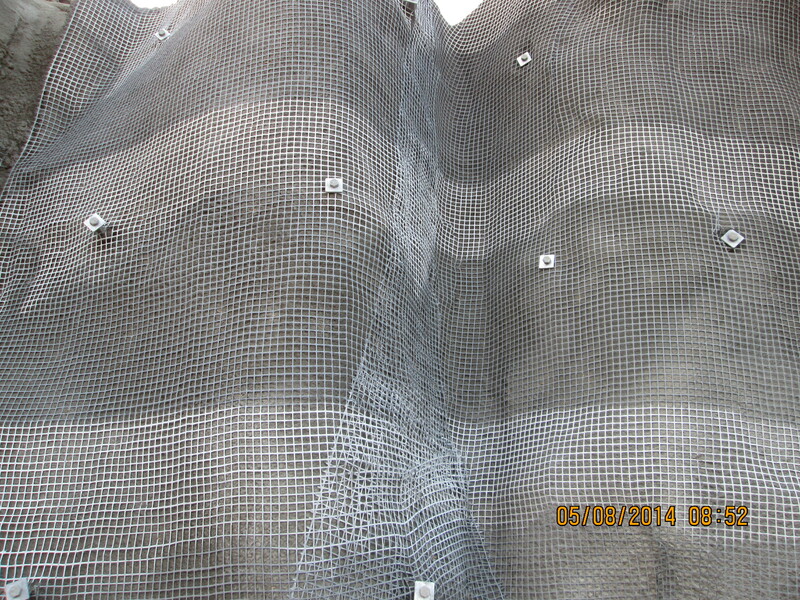 The use of a carbon net as a crack width reducing measure is much less effective than a traditional steel net reinforcement (B-cross nets and no chicken wire). The crack widths will therefore be larger than usual in concrete structures. It should be noted that in traditional steel reinforcement the crack width must be limited to prevent corrosion of the reinforcement and splashing of the cover (concrete rot). Corrosion of the reinforcement is not an issue at ARMO, which means that from a sustainability point of view there are no requirements to be made of the crack width. 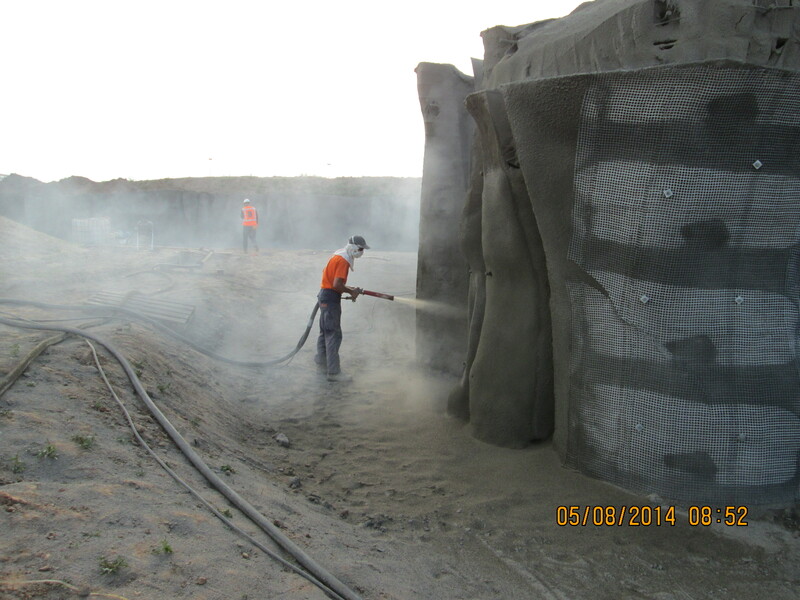 The sprayed concrete can be loaded by elephants standing or leaning against the finishing layer. Solution to make the construction strongly possible and advantage to make thinner walls possible.